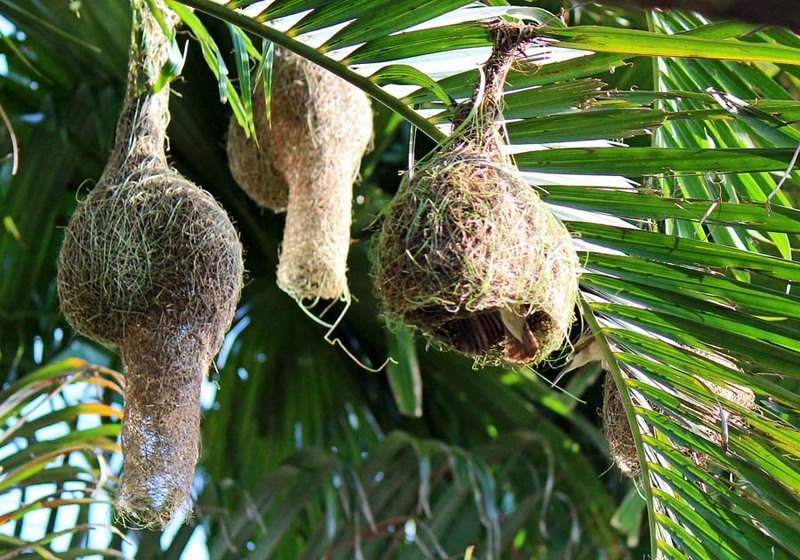 The nests of the Baya Weaver are woven cleverly and sealed except for a small tunnel entrance. The weaverbird is common in India and other parts of Southeast Asia. 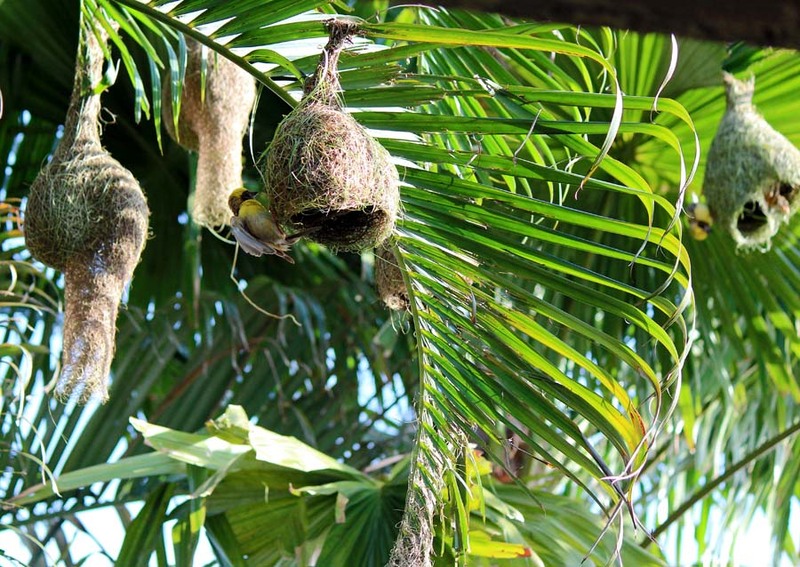 Their nests usually hang from trees. In this photograph, the weaver bird has not finished his work and you can see him weaving his nest. 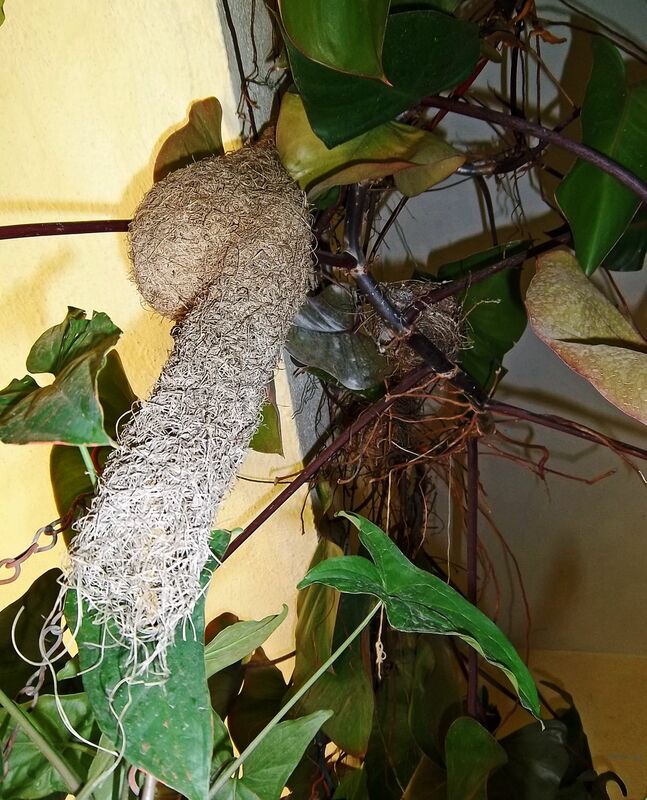 The completed nests are on the left side of the image. Some nests of the weaver bird hanging from palm trees. 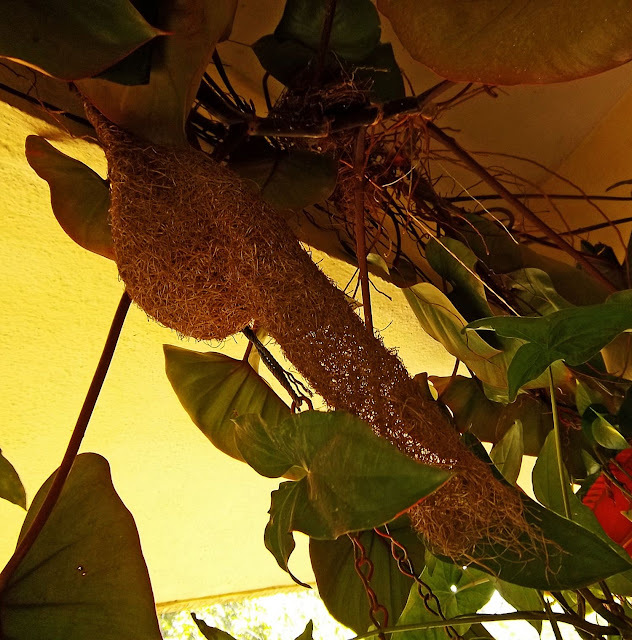 These nests are right in our balcony, now deserted by the birds. Or see more photos of birds: Emu the bird or Silhouettes of birds in flight or try the label Birds.